Mens Chino Pants Red by Rich Famous. For clean-cut style, these red mens chino pants are the perfect way to brighten up preppy attire. Tailored fit chinos in a vivid red shade with a mid rise waist. Constructed with front and back pockets, button-up fly with interior button tab and belt loops. 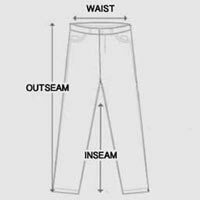 Mens chino pants made from soft cotton blend with minimal stretch. Designed with two wooden button accents on front waistband with Rich Famous logo. Neat chinos great for looking sharp in the boldest shade. Let the color do the talking in these red mens chino pants.